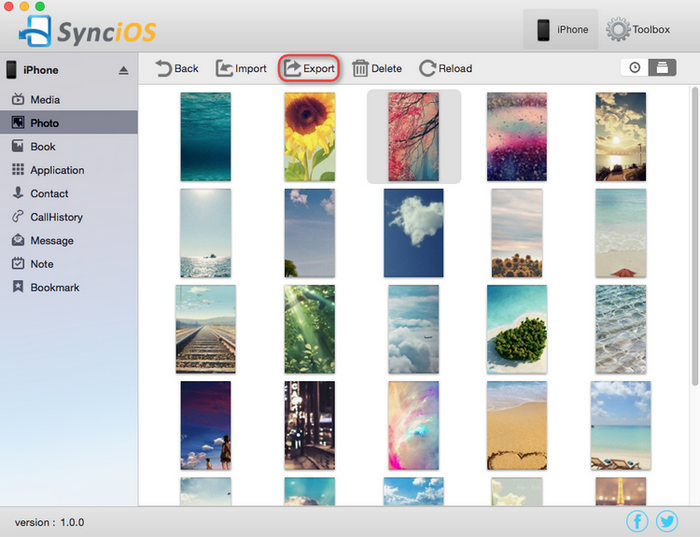 Syncios Manager for Mac offers ultimate file transfer solution between Mac and iOS, helping you easily transfer, backup and restore multimedia data including music, video, photo, Ebook, apps, contacts, notes between iPod/iPhone/iPad and Mac. 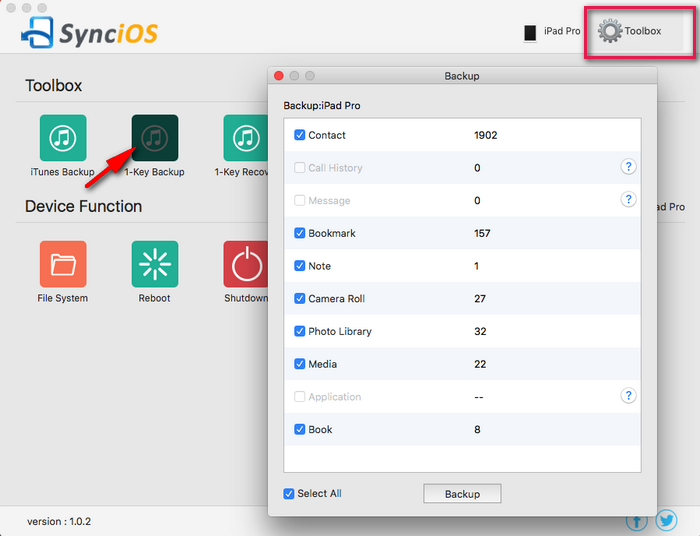 There are more functions of Syncios to better manage your iDevices, such as Access iOS file system, iTunes backup extractor, etc. Simply download and have a try. Step 1. 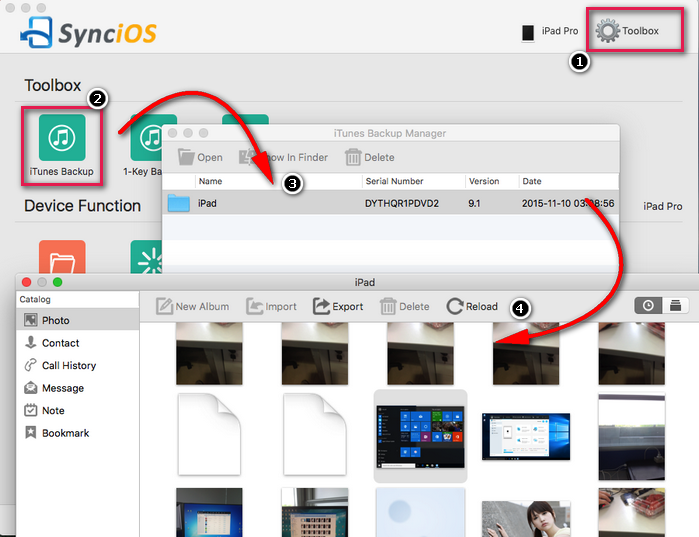 Simply connect your iPod touch, iPhone or iPad to your Mac, then launch Syncios iOS Manager. Step 2. Go to Media tab, click "Music" on the right panel of the program. You will see five items "Import", "Export", "Delete", "New Playlist", "Reload" under the main window. Simply press Import button. Now, a dialog box will pop up. 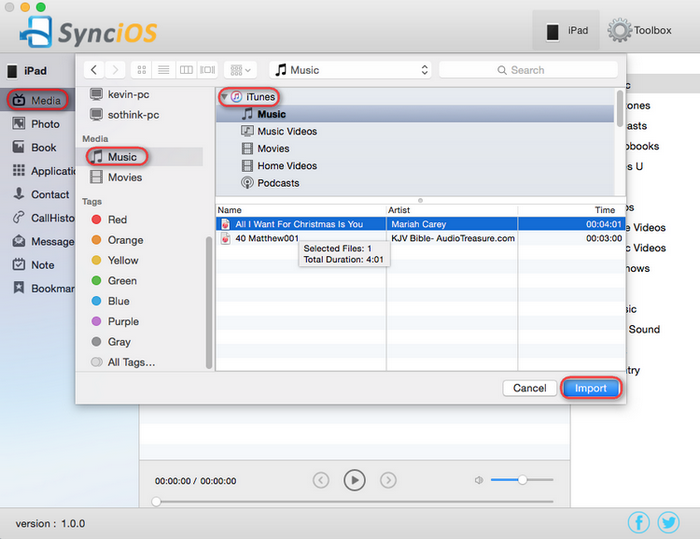 Just click Music under Media tab on the left side, then select iTunes from the drop-down list and click Music , all music will be desplayed on the main window. 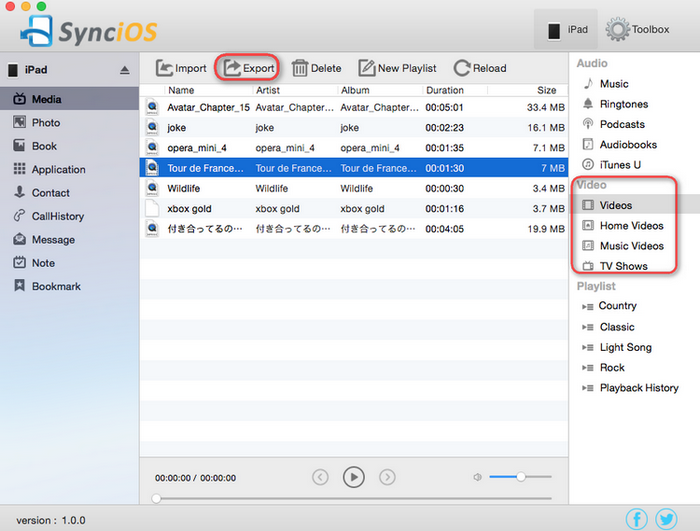 You can choose music you'd like to transfer to your iPhone, then click Import. Under My Device, click Media tab on the left panel of Syncios, then highlight Music on the right panel of the program, all music will be displayed, you can hold down the Ctrl/Shift key to select multiple music files, .then clickExport button. 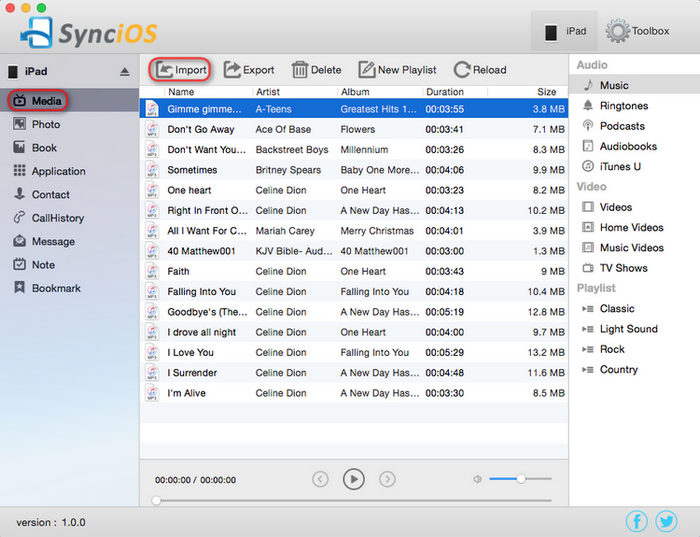 Transferring music/videos/photos from Mac computer to iPhone/iPod touch/iPad is also very easy. 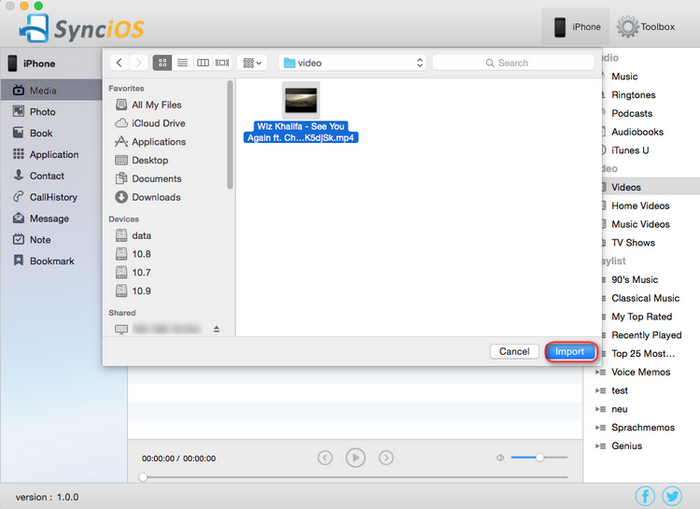 Just clickMusic, Video, or Photos, then select Import at the top, you are allowed to browse your Mac for the files you want to add to your iPhone, iPod touch or iPad, then click Import to transfer them to your iOS device.